This backpack is ideal for short trips and quick. There is a compartment for the tool and spare parts and a hydration system pocket available. The mesh shoulder straps, mesh hip fins with the two zipped mesh pockets and Airstripes back system with adjustable rails together make for an all-round ventilation. Through its own, separately accessible bladder compartment of the backpack for an optional hydration system is suitable. It is secured with an autolock zipper, a drinking tube line with velcro opening and a drinking tube. The back lot has been strengthened so that the bladder can not press. Shoulder straps with MeshTex. The contoured shape to guarantee freedom of movement. The chest strap further secures the fit of the shoulder straps. Breathable Mesh wings on the hip belt ensure a compact fit in any cycling situation. Bi-laminate structure composed of a soft and one firm layer of foam provides excellent carry comfort and optimum load distribution. Flexible aluminum stays within the foam profile can be bent to fit the back of the exact (Bike I, Superbike and Trans Alpine). Two contour-shaped layers of knobbly foam with Air mesh lining ensure maximum air circulation and minimal back contact . 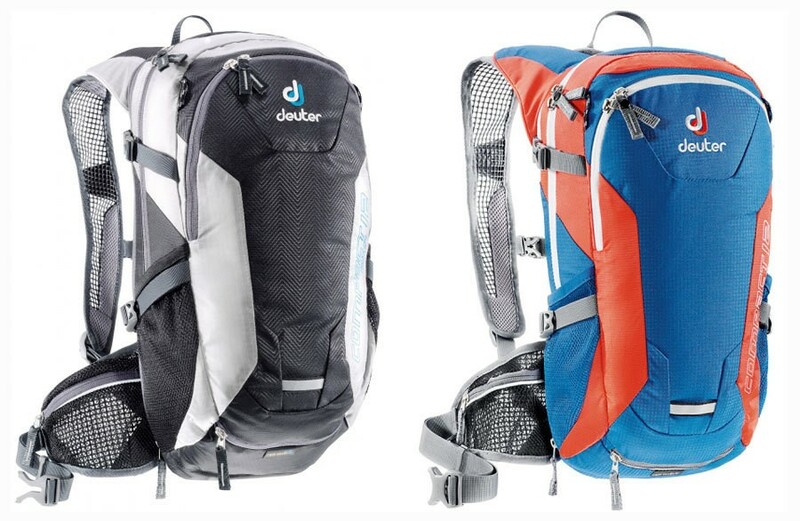 The package includes one backpack in the color that you have selected.